Garden City, NY (June 28, 2016) - The New York Lizards and Chesapeake Bayhawks have executed a trade at the Major League Lacrosse deadline that sends three-time All-Star attackman Drew Westervelt to New York in exchange for a second round 2017 Collegiate Draft pick. Drafted by the Outlaws 4 th overall in the 2007 MLL Collegiate Draft, Westervelt was traded to the Bayhawks in exchange for Jeremy Sieverts and defenseman Joe Cinosky in 2011. Since being drafted in 2007, Westervelt has appeared in 106 games, amassed 328 points with 215 goals and 106 assists. The UMBC product played a huge role on the Bayhawks in 2013 when he scored 36 goals, a career-high, in 13 regular season games. "For us to be able to add a scorer and proven winner like Drew to our lineup is tremendous!" said Lizards Head Coach, Joe Spallina. "He's a world class player and, equally as important, a world class teammate." Westervelt will join the likes of Tommy Palasek, Rob Pannell, and Matt Gibson on an already loaded Lizards attack this week as they prepare to take on his former team, the Chesapeake Bayhawks. 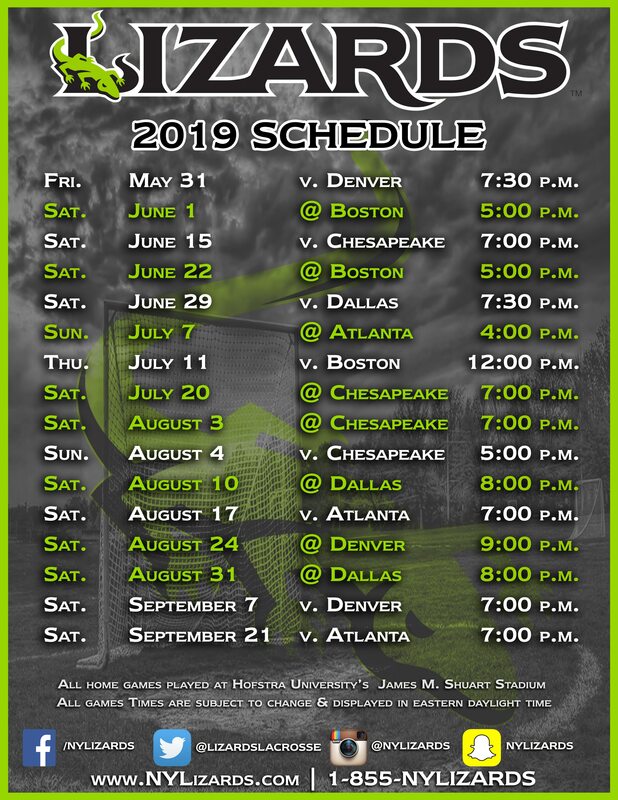 The Lizards will take on the Bayhawks on July 2 nd at Navy-Marine Corps Memorial Stadium at 7:30 p.m.
New York will return home on July 14 th to take on the Florida Launch. Tickets are still available. Visit www.nylizards.com/tickets or call 1-855-NYLIZARDS for more information.